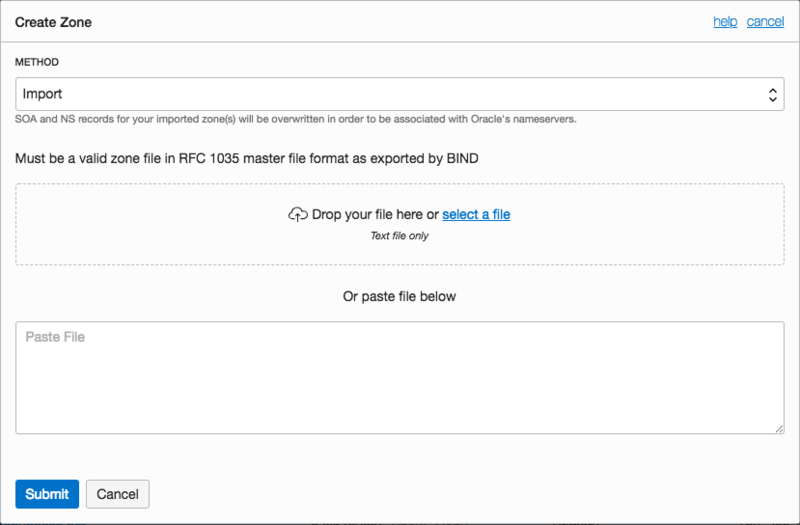 To transition to Oracle Cloud Infrastructure DNS, download your Standard DNS zone and upload the zone file to Oracle Cloud Infrastructure DNS. 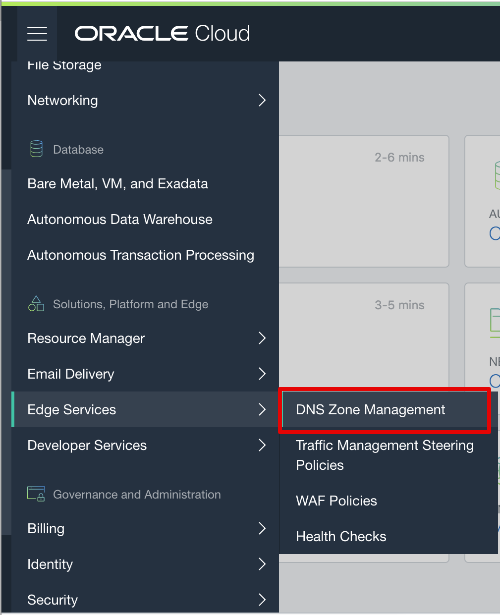 After you create your zone you will need to delegate it to the Oracle Cloud Infrastructure DNS nameservers. Log into your Dyn eCommerce account at https://account.dyn.com using your username or email address. 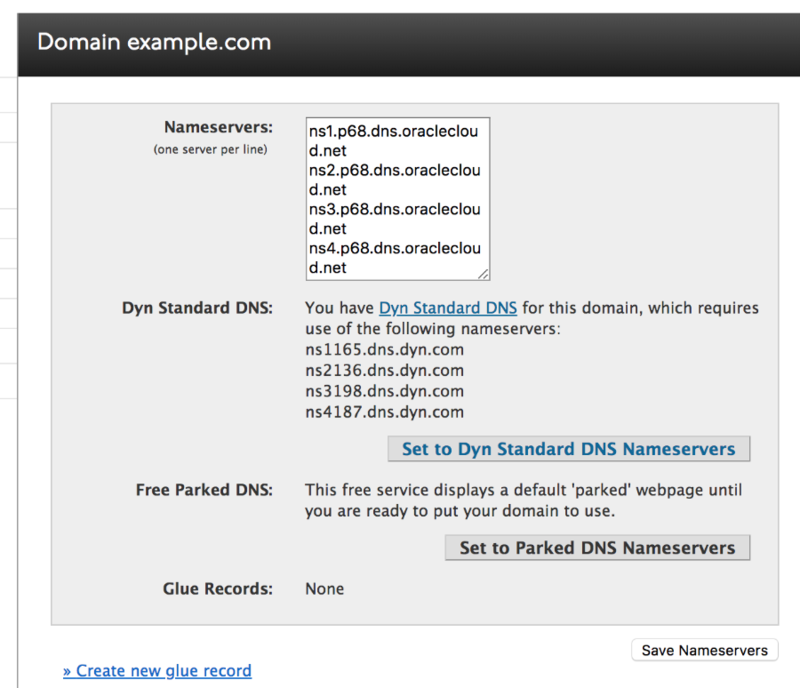 Click the Dyn Standard DNS Service link beside the zone you would like to export. Your zone file is saved as a text file. For more information, see https://help.dyn.com/export-your-standard-dns-zone/. In the Create Zone dialog box, select Import from the Method drop-down menu. Click the Zone Name you want to delegate. Zone details and a list of records appear. You can use the noted nameservers to change your domain DNS delegation. Allow 48 hours for full propagation to complete before canceling your existing Dyn Standard DNS service. Under My Services, select My Zones/Domain. Select Dyn Standard DNS Service next to the applicable zone you want to cancel.